15 watts 115 Volt 60 Cycles A.C. 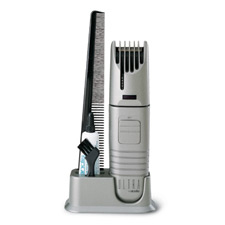 Pick of the Professionals with Four Times the Cutting Power of comparable magnetic clippers. 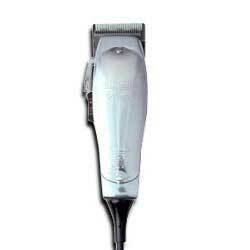 This Clipper is Contoured to fit Comfortably in your hand and Performs well on either wet or dry hair. 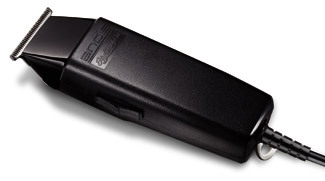 Elevate SpeedMaster Clipper with Attachments Items is discontinued by manufacture and Cache is out of stock ! Buy as low as $ 119.99 each !!! 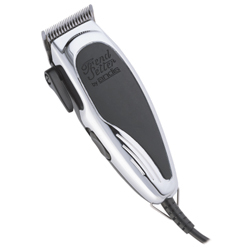 Features Andis T-blade for greater versatility and safely trims hair from in the ears. 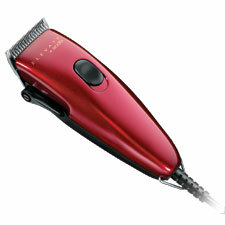 Powerful magnetic motor and extra wide blade allows you to save time and to trim and style hair faster. Cool running and quiet. 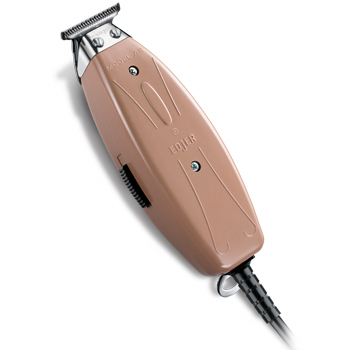 10 watts 110 Volt 60 Cycles A.C.
Pivot motor clipper with adjustable blade. 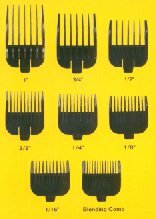 8 attachment combs: 1/16", ⅛", ¼", ⅜", ½", ¾", 1" and blending comb. 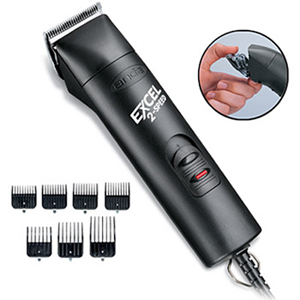 Quiet, powerful motor for all types of hair cutting. Contoured to fit comfortably in your hand. High quality carbon steel blades adjust form Size #000 ( 1/100" ) to Size #1 ( 1/8" ) with a touch of a lever. Twice the cutting power of comparable magnetic clippers. Performs well on either wet or dry hair. Fully tempered pre-set super fine tooth blades never nip or scratch, lets you dry shave smooth, clean and neat. 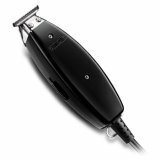 The Outliner II Trimmer is the perfect all purpose powerful styling tool for trimming and shaping the latest hairstyles. Runs cool and quiet. Buy as low as $ 46.99 each !!! 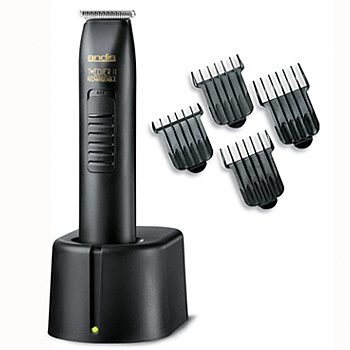 This trimmer has been DISCONTINUED buy Andis and we are out of stock. Compact mini size and lightweight. 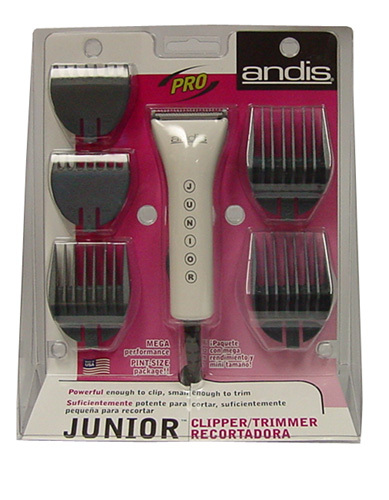 The Andis T-blade design makes it easy to trim inside ears and shape beards and mustaches. Won't nip or scratch. Powerful enough to clip, small enough to trim. 4 oz. of multi-tasking palm power for haircuts and touch-ups. 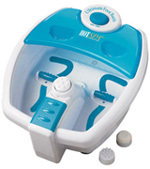 Precision, stainless-steel blade set snap on and off for easy cleaning. 5 attachment combs sizes: 1/16", 1/8", 1/4", 3/8", and 1/2". Mega performance - pint-size package! !